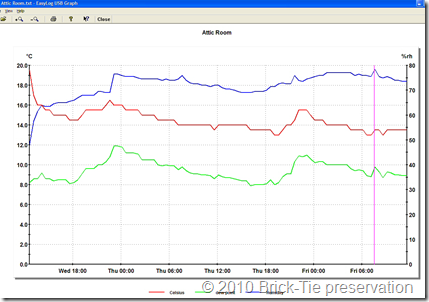 You are here: Home / Damp / Electrical Moisture meters in building surveys; unnecessary? or Essential? 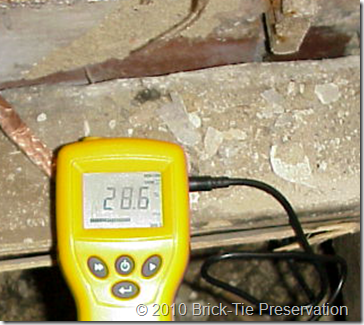 Electrical Moisture meters in building surveys; unnecessary? or Essential? Every surveyor I’ve ever met owns an electrical moisture meter. It makes me think; what did surveyors do before these arrived? The short answer is that they used their eyes. Were their survey reports wrong as a result? I doubt it. So what is the point of these expensive and maligned gadgets? A client asked for a ‘damp’ survey on a semi in Leeds, which she is thinking of buying. Her RICS mortgage valuation mentioned ‘unacceptably high moisture readings in the walls. Without a similar meter and without any visible staining or salting, I couldn’t have found the walls he was concerned about. On a residential damp and timber survey, high readings from a wall helped me find a wet rot problem under the adjacent timber floor. High readings obtained from floor joists under a floor in a residential survey confirmed that as suspected, the sub floor ventilation was inadequate. High damp readings from timber skirting boards, in a house in Wetherby, indicated a damp problem behind them, which wasn’t apparent on the face of the boards, or the wall above. In Leeds, a moisture profile, from a clearly damp wall indicated a classic but invisible ‘salt band’ assisting in my diagnosis of rising damp. Zero readings from a wall covered in black mould stains helped in my diagnosis of an intermittent moisture problem – condensation in this case. At a property in Tadcaster, very low readings in a rotten looking and soft floor joist helped confirm that the cause of the decay was rectified and the wet rot was not actively growing. These are only a tiny sample, but clearly there are some cases where the meter seemed essential, however, in most cases the meter was either not needed or was only used for confirmation or demonstration. On the Leeds property I did obtain the higher reading, but didn’t recommend any work because the readings were just that ; there was no real problem; the house was just old, had solid walls and wasn’t ‘dry’. The meter was useful here, but this was a full timber and damp survey, so there was a good chance I would have found the decay anyway (it was in joist ends bearing into a wall, with a solid concrete floor on on the other side). Confirmation of what my eyes had already told me – there were few air bricks and most of these were partially blocked. Yes, in Wetherby there was a bit of damp at the floor/wall junction, because the plaster was touching the old concrete floor. However, these were cheap, small section skirting boards, so did it really matter? The world wasn’t going to end and simply removing the skirting and cutting back the plaster was sufficient. If I hadn’t have used the moister meter, the skirting may have decayed – eventually. This assisted my diagnosis, but it wasn’t essential. However, it also served to help demonstrate the problem to my client. More assistance, but again, not essential. The wall was touch dry, so dew wasn’t forming at the time or just before my arrival. The pattern of the mould stains and the other factors were sufficient for me, without the meter. As an experience timber specialist I’m trained to search for the cause of timber decay. If decay is found, without an apparent cause, then a meter is not normally needed. 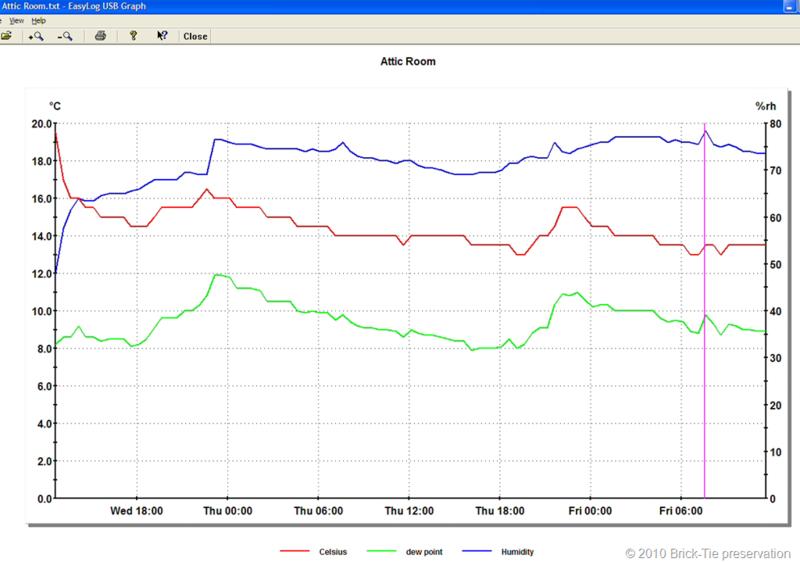 However, the meter did help confirmation and demonstration for the client. So, the meter was apparently: unnecessary, useful, essential and misleading; all in the space of a couple of weeks. Ah, I here you say, “You said it wasn’t essential in any of the cases”. That’s right, but what I mean is that it wasn’t essential for practical purposes. The invisible benefit is, I’m afraid, the modern litigious society we work in. In every one of the seven cases the meter provided me with some form of protection from legal action. In many of the situations, my client is buying a property and is taking a huge financial decision, which could be said to rely; in small part, on my survey findings. In this situation, I have to show that I did all I ‘reasonably’ could, to protect them. This is my duty of care. Whilst meter readings need to be interpreted correctly, they are a useful tool which in demonstrating, confirming or discounting a problem, can protect surveyors and clients too. So I won’t be throwing the meter away just yet. Besides, with the advent of sophisticated modern units, I can take spot measurements of Relative Humidity, dew point, plus air and surface temperature. 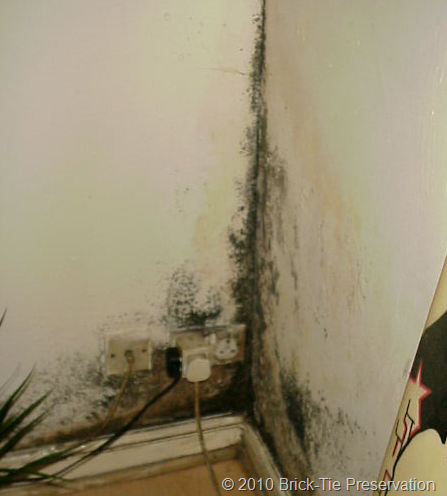 But wait; at this time of year, most of my damp surveys are the result of mould growth. I can see mould and I can tell, just with a walk-around, whether a property is likely to be suffering from condensation. Even the fancy new and advanced kit is not essential for practical purposes. Would I be without these tools? – No chance. The moisture meter will continue to be essential kit for any surveyor. I’m going to write a post on the practical on-site use of my favourite electrical moisture meter soon.